Shelley was born and raised in Seguin, Texas. Home of the Largest Pecan and Biggest Small Town Parade. She was raised by two amazing parents, John and Alice Garcia. Her older brothers Benton and Michael along with her parents have been her #1 cheerleaders and prayer warriors since day one. She loves that they all live close to one another here in New Braunfels. She graduated from Seguin High School in 1996 and went on to Major in Mass Communications at Southwest Texas State University. Shelley spent 12 wonderful years working for The Scooter Store in sales and sales management. She discovered her passion for developing others and leading. This is also where her love for confetti was discovered. Shelley now works for Paychex INC. For the last four years she has helped business owners with a peace of mind when it comes to their Payroll and HR needs. She started helping companies on the South Side of San Antonio and was excited when New Braunfels opened up. She enjoys serving people in the community where she lives, plays and raises her daughters. Shelley has been married to her best friend Jeffery since 2006. They have 2 daughters, Paisley Rae who is 8 and Reese Jordyn who is 6. The girls are very active in dance and gymnastics. Shelley loves to watch her girls compete. She also has a small business of her own, Chicks Sew Love It. She enjoys sewing and creating gifts for people. Another new found hobby of hers is raising her 6 chickens…Thelma, Louise, Concha, Maria Posada, Big Pearl and June Bug. 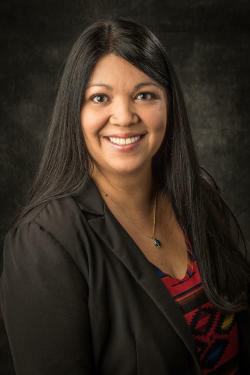 Shelley, along with being on the Board of Directors is also Chair of the Hispanic Business Alliance and chaired the very first Dia de los Muertos Festival in 2016 which was a huge success. She takes great pride in being an active part of her community and will continue to give back to her growing town of New Braunfels! What is one thing on your bucket list? To meet Bobby Flay. Who is your favorite super hero? My favorite super hero is Storm. If you could go on a free vacation anywhere in the world, where would you go? The Bahamas…I am really close to my year end goal, so it could come to fruition!